3 Predictions by Nostradamus Have Come True. So What Did He Say About the Year 2019? 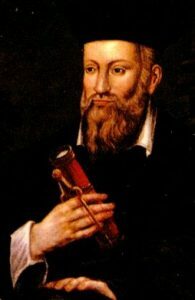 Nostradamus has been regarded by many as one of the most accurate prophets in history. Here we delve into some famous real-world events that the reputed French physician and seer had accurately predicted in his book, Les Propheties. 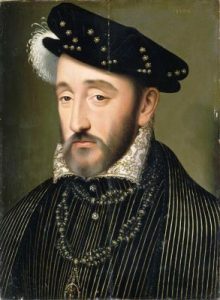 Nostradamus’s accurate prediction about the fatal death of Henry II of France in 1559 was what threw the seer into the limelight during the 16th century. In the summer of 1559, King Henry II of France (older one) was fatally wounded during a tournament to joust Gabriel, Comte de Montgomery (young lion), who was six years his junior. The wooden lance of Montgomery pierced the King’s headgear, shattering into fragments (He will pierce his eyes through a golden cage), and a lone splinter penetrated the King’s right eye, entering his right orbit and temple (two wounds made one). According to Ancient Code, incredibly, both Montgomery and Henry II did have lions on their shields. The King suffered paralysis, convulsions, and respiratory problems for 11 days before passing away on July 10, 1559 (he dies a cruel death). Nostradamus stated a specific date—”In the year 1999, seventh month”—in one of his poetic quatrains. Many believed the famed prophet was speculating the end of the world in 1999, but instead, he was referring to the persecution of Falun Gong (also known as Falun Dafa) in China. On July 20, 1999, Jiang Zemin, former head of the Chinese Communist Party (CCP), launched brutal persecution to eradicate Falun Gong. 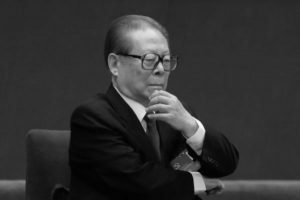 On July 20, 1999 (In the year 1999, seventh month), Jiang Zemin, former head of the Chinese Communist Party (CCP), caused immeasurable damage to China by launching a brutal persecution to eradicate Falun Gong—an ancient cultivation practice based on the tenants of Truthfulness, Compassion, and Tolerance. Some conjectured the “great King of terror” in the above prophecy denotes the Antichrist—the Chinese Communist Party. And the atheist CCP adheres to Marxist ideology (Before and after Mars reigns in the name of bringing people happiness). 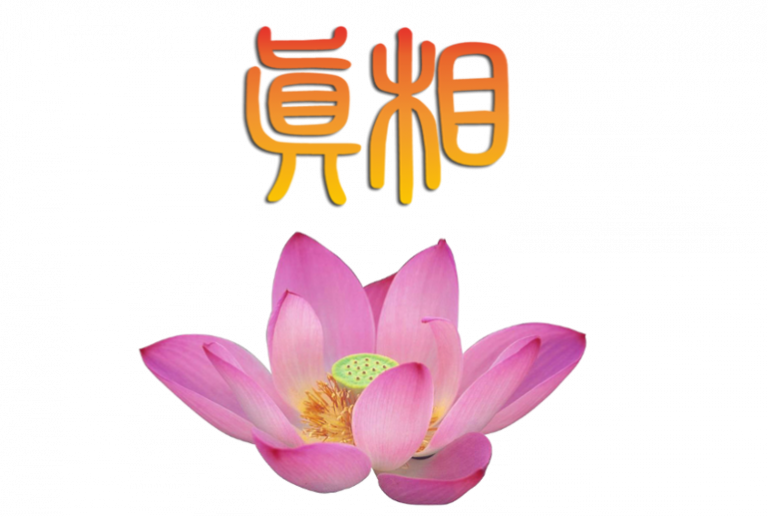 The CCP saw the beliefs of Falun Gong, including the existence of the divine, heaven, and gods, as irreconcilable with its Marxist ideals. 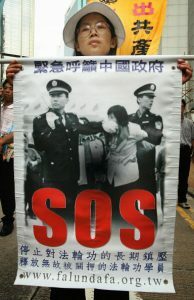 “Can it be that we Communist Party members, armed with Marxism, materialism, and atheism, cannot defeat the Falun Gong stuff?” Jiang wrote in a letter to the top Party members after 10,000 Falun Gong practitioners staged a protest outside Zhongnanhai on April 25, to petition the authorities for an end to illegal harassment following the arrest of some practitioners in Tianjin. As a result, tens of thousands of Falun Gong practitioners are being tortured inhumanely in prisons, detention centers, mental hospitals, and labor camps without trial. Even more horrifying, this persecution has brought about a new form of evil, whereby an estimated 65,000 healthy Falun Gong practitioners have been secretly killed for their organs to fuel a lucrative organ transplant industry in China. Amazingly, Nostradamus already foresaw Hitler’s rise to power back in the 16th century. 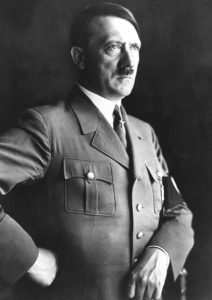 Indeed, Hitler’s parents were from poor peasant families (A young child will be born of poor people), and he won over the German people’s support for the Nazi party with his persuasive speeches (his tongue will seduce a great troop). And just as the famous Nostradamus predicted, Hitler sought an alliance with Japan (the realm of the East) during World War II. According to the Mirror, “Hister” is an old term used for the Danube River in Austria, and Hitler was born just miles away from that river. So, what is in store for the year 2019, according to Nostradamus? 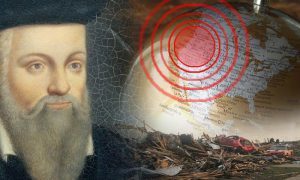 Nostradamus envisaged massive seismic activity that will shake the western part of the United States, and its tremors will be felt across the world. According to scientists, California is long overdue for a major earthquake. 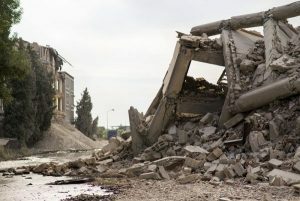 In a 2017 report, the U.S. Geological Survey warned the possibility of “the big one”—an extremely large and destructive earthquake in California. 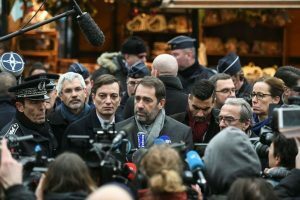 Christophe Castaner, France’s interior minister, speaks to the media after the reopening of the Christmas market that was attacked on Dec. 11, 2018. 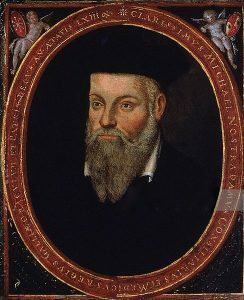 It’s perceived Nostradamus had implied in his quatrain that war may begin from terrorist attacks in France by the Islamic extremists, which will then spread throughout Europe. But there is hope, as according to the visionary, there will be an end to this war in 2025, and peace will reign. 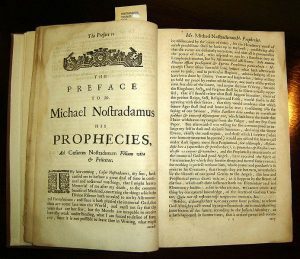 As Nostradamus’s poems were written using vague words and metaphors—they often have cryptic and hard-to-understand content—their interpretation always remains controversial. Though Nostradamus’s predictions are under great speculation, there’s no denying we are actually in times of great turmoil. Thus, there is an immense need to wake up and help our fellow men before it is too late. Perhaps by improving ourselves to become better people, it could eventually lead us to greener pastures.